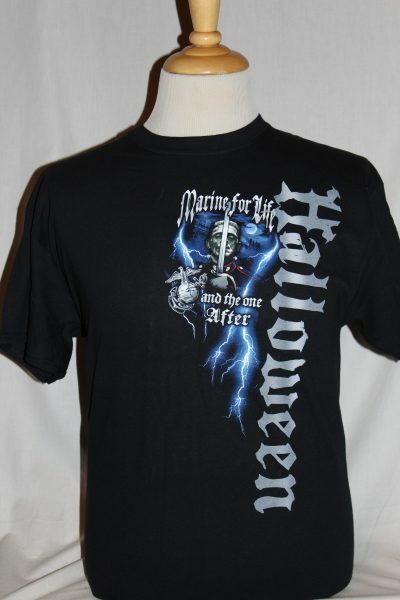 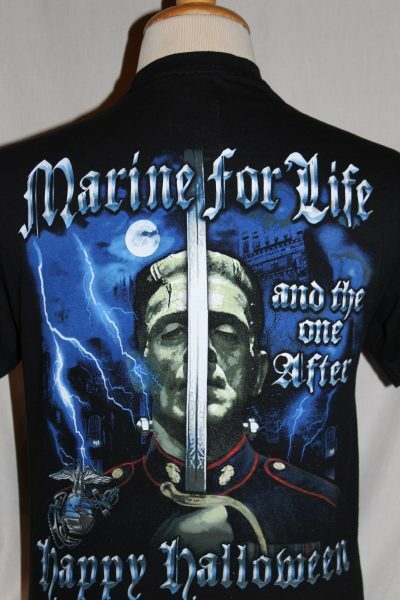 The Frankenstein Marine For Life And The One After T-Shirt is a two sided print in black. 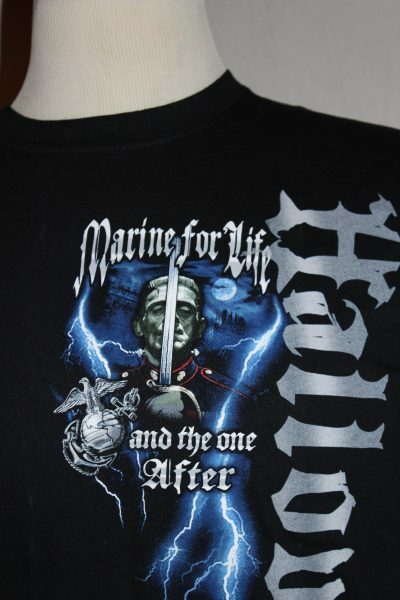 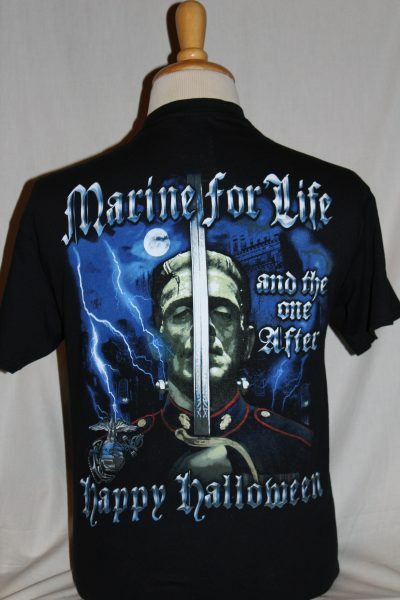 Front Design: Frankenstein Marine in dress blues, sword, Globe and Anchor and text screened in grey and faded blue on left side. Back Design: Similar Halloween scene with additional images and text screened in faded white and blue.